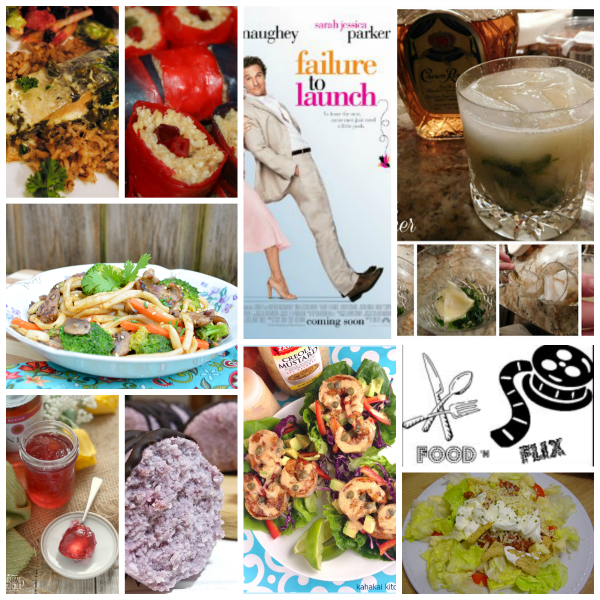 It’s the end of January and now time to round up all of the delicious Food ‘n Flix recipes inspired by the movie Failure to Launch! 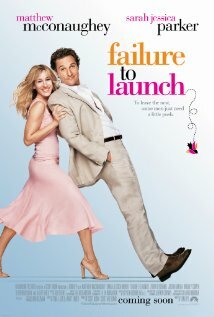 Failure to Launch is a Romantic Comedy. The premise is that Tripp is in his 30’s and still lives at home with his parents…with no plans to leave. His parents hire Paula, a professional interventionist to simulate a relationship with Tripp to encourage him to move out. 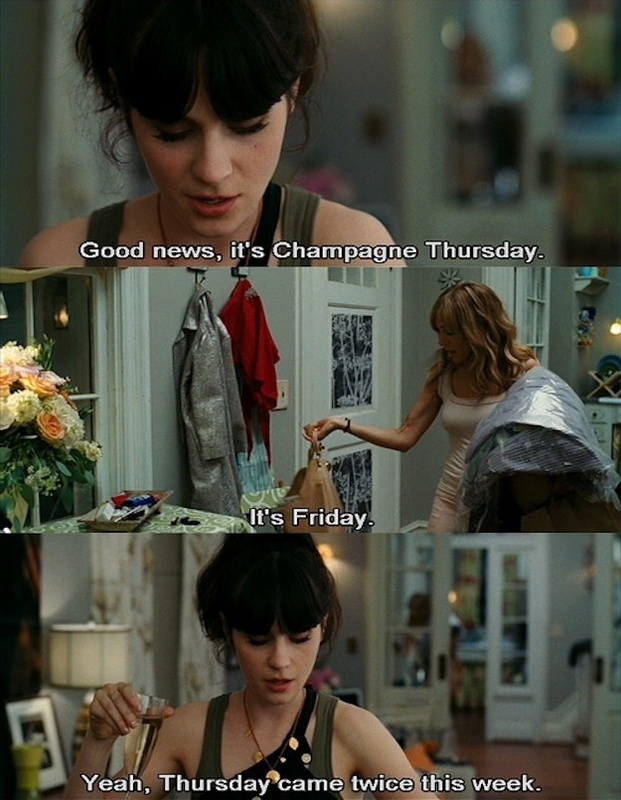 There is a stellar cast, including Sarah Jessica Parker (Paula), Matthew McConhaughey (Tripp), Bradley Cooper (Tripp friend), and the absolute show stealer: Zooey Deschanel (Paula’s roommate). Now for the delicious recipes, here in the order in which they posted. Kimberly from Coffee and Casseroles made a delicious Lentil Taco Salad. Kimberly was inspired early in the film when a piggish (and creepy, in her opinion) Matthew McConhaughey character rolls out of bed and crushes bunch of tortilla chips with his feet. She made a delicious meal despite an…unappetizing inspiration! 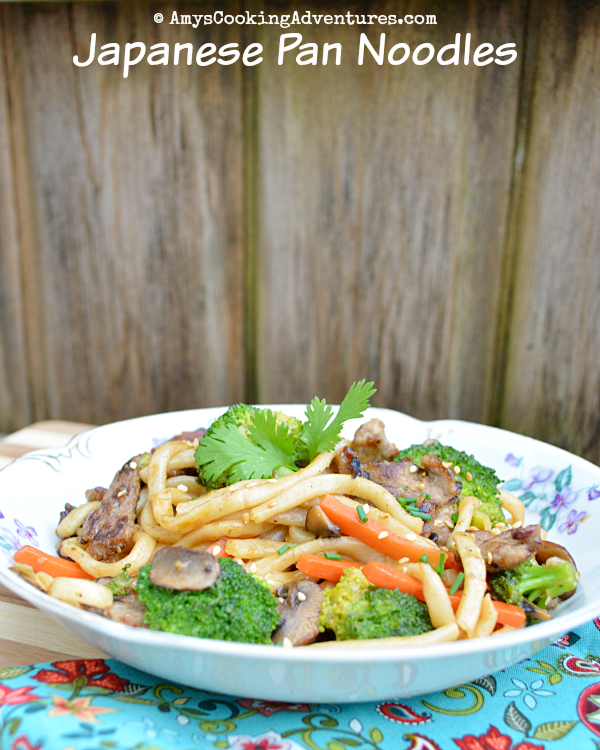 I made my Japanese Pan Noodles with Steak after being inspired by Tripp & Paula’s date to a sushi restaurant. I don’t eat seafood, but I did spy some noodles in the background and set out to recreate one of my favorites, carnivore-style! 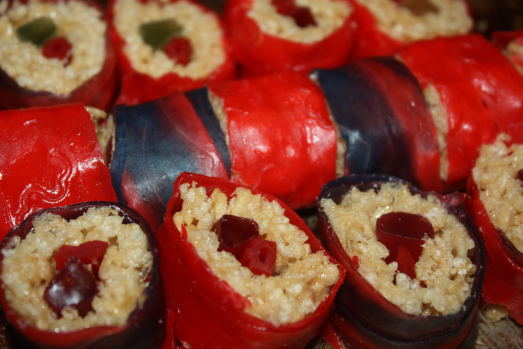 Elizabeth from The Lawyer’s Cookbook made Candy Sushi, also inspired by the sushi date. While Elizabeth loves sushi, she’s not about to risk purchasing raw fish, so she took a fun and sweet twist to make sushi out of candy! 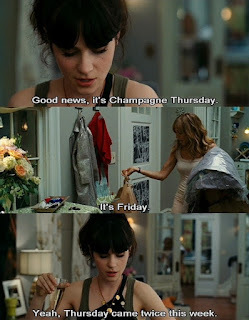 Heather from All Roads Lead to the Kitchen was inspired by the Champagne Thursday scene (my favorite in the movie!) 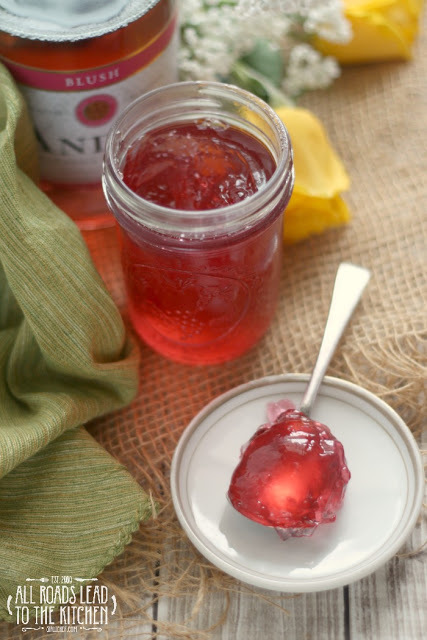 She was so creative, making an amazing Champagne Jelly! Now that’s taking PB&J up a notch! Camilla from Culinary Adventures with Camilla was also inspired by champagne Monday…er…Thursday and made an amazing Poached Salmon with Caper-Cream Sauce! Did I mention the cream sauce has champagne in it? 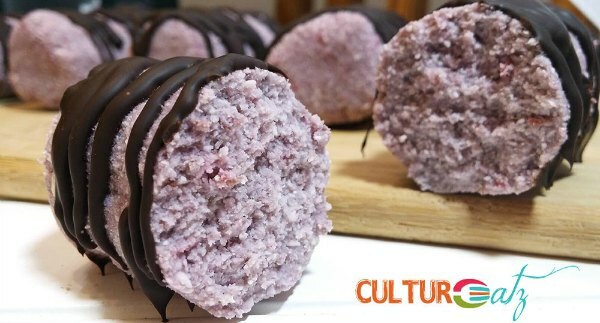 Evelyne from CulturEatz made her delicious Raspberry Coconut Protein Bars. She was inspired by the scene when the guys were bicycling and try to feed a chipmunk a protein bar. Plus these are a beautiful blush pink from the raspberries, so they get the girly treatment too! 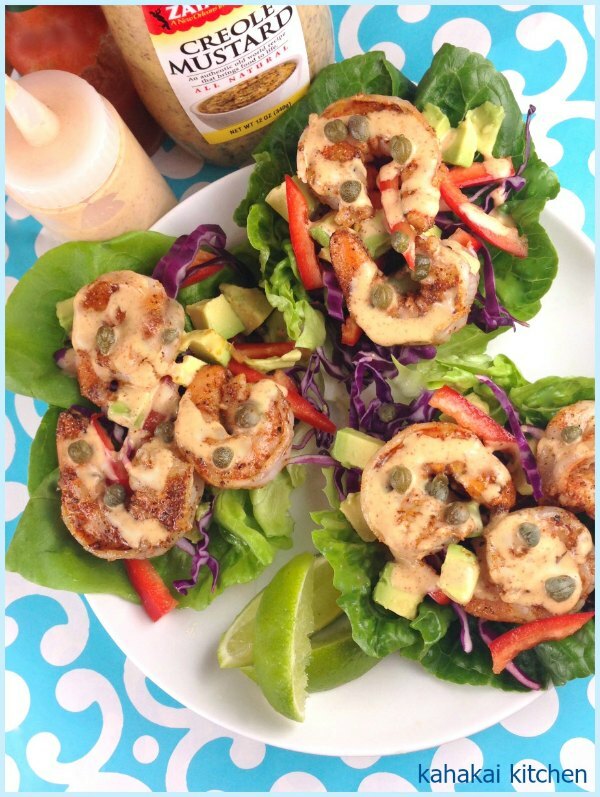 Deb from Kahakai Kitchen made was inspired by tacos seen in the movie, the abundance of seafood and a Wikipedia snafu (you have to click over & see what happened!) She made some amazing Cajun Shrimp Lettuce Wrap Tacos with Remoulade. Wendy from A Day in the Life on the Farm made Guava Smashers, the only food actually named in the film (other than a ball park hot dog). 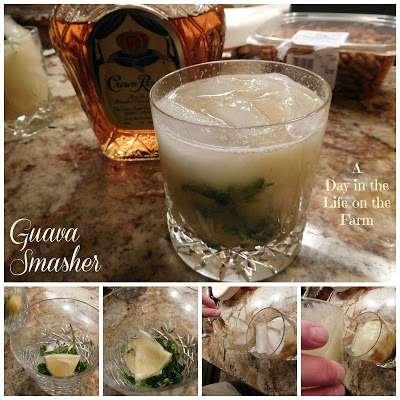 Wendy notes that a Guava Smasher is actually a Whiskey Smash with guava juice! Check out Wendy’s creative way of juicing the guava! Thanks again for hosting Amy. Thanks for hosting Amy, this was such a fun pick. I love everybody's inspiration. 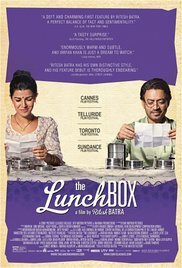 I loved the movie choice this month. Thanks for hosting! 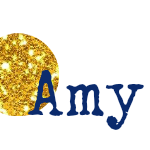 Thanks for hosting, Amy! Great job!! !